Here are my picks from last week. So hard to pick. Really, you should just go look at them all, if you haven't. Because they are all fabulous. 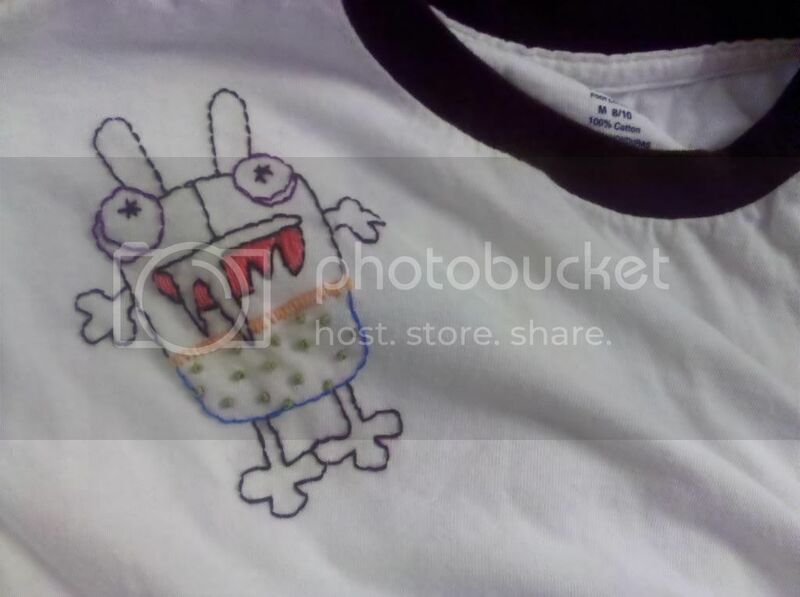 Rialeigh at Creative Release created this awesome tutorial for how to transfer a design and hand-embroider it onto a shirt. Not only is this project right up my alley, but she totally stole my heart by using one of the monsters I designed for one of my free kits. How cute is that!?! My boys would die for a shirt like this! And I hadn't heard of the pencils she uses, so I need to get on that; they sound dead useful. 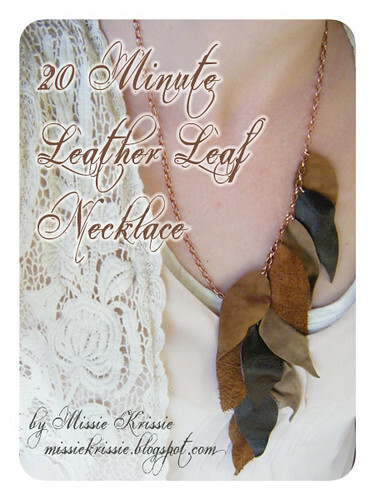 Kris at Missie Krissie used some leather scraps to make this amazing necklace, and she shows us how she did it and it's not even that difficult. Such a simple, yet stunning idea. It makes me want to break out some scraps I have and get going. Just beautiful! 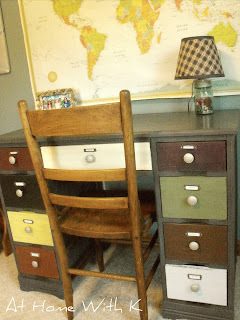 Kindra from At Home with K did this desk makeover for her son's room. As I read her post, I was seriously impressed with how much control and input she let her son have. With my own kids, there are certain things I really don't care about, and then there are things that I do (desk colors would fall into things that I do). Kindra let him pick, and I'm so glad she did. The end result is charming and inviting for a little boy, but heck, I'd be happy to put it in any room in my house! I love how it goes with the map on the wall. If you've been featured, feel free to grab an "I've been featured" button! Wow! Thanks so much for featuring my desk! That sure made my day! !